Established in the year 2005, Panchal Fabrication Works has attained a top reputation in the market for manufacturing, supplying and trading a range of MS Grill and Gate. Our Product Line includes Mosquito Net, MS Grills and UPVC Window. Our products, used for various security and protection purposes, are in high demand because of their attributes such as corrosion & abrasion resistance, sturdy construction, low maintenance, easy fitting and longer service life. Through our products, we are ensuring that various residences and commercial establishments across the country remain protected from thefts and mishaps. As a client-friendly firm, we are offering products in various specs per exact requirements. For over a decade, we have earned the trust of our wide clientele since we use only Grade A raw material and high-tech imported machinery to fabricate our respected Product Line. Moreover, our quality analysts conduct rigorous tests before okaying the products. We are trading some of the leading brand names in the industry. We have set up an ultramodern infrastructure unit that is equipped with advanced machinery and technology. Ever since our entry into this domain, we have interconnected with a wide distribution channel that enables us to deliver our products in a safe and timely manner. Our machinery is regularly maintained and upgraded by our group of skilled technicians. Established in 2005, Panchal Fabrication Works is the pre-eminent leader in the market of manufacturing, supplying and trading a superior range of MS Grill and Gate. 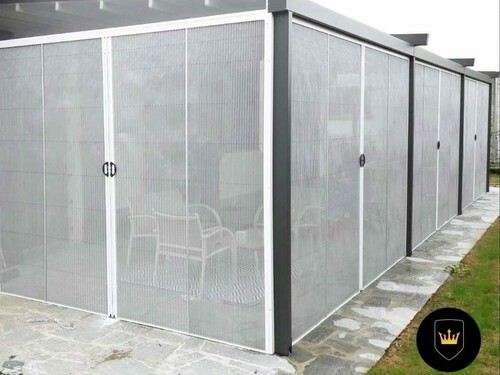 Our range of products include Mosquito Net, MS Grills and UPVC Window, among many others. Our products, which are utilised for security and protection purposes, are renowned in the market for their corrosion & abrasion resistance, sturdy construction, low maintenance, easy fitting and longer service life. Our products have found their application in various residences and commercial establishments across the country. Our Glass Railings, a recent hot seller, are used in various complexes and shopping malls, and can be availed in customised form. Our team of technocrats, welders and design experts vow to fabricate products with only the finest grade basic material and advanced technology. Our quality control unit ensures that our products are on par with international quality standards. Our products are traded under some of the leading brand names in the industry. Having set up a world class infrastructure facility, we have been able to present qualitative range of products, besides sustaining a hassle-free day-to-day working process. We are constantly upgrading our machinery and processes to stay on par with top global standards. Our R&D unit works tirelessly to bring in innovations to our exclusive range of products.